By encouraging good posture in the user, EN One school chair by EN is ideal for prolonged use. The best plastic school chair can help to circulate blood flow around the body and create desirable posture and positioning, for spinal health. The FIRA standard EN1729 parts 1 and 2, tests that a chair is both durable and ergonomically sound. In general, correct ergonomics will help to create desirable positioning for the user. With being able to stack up to 21 high safely, the EN ONE is the most effective plastic stacking school chair in the market today. 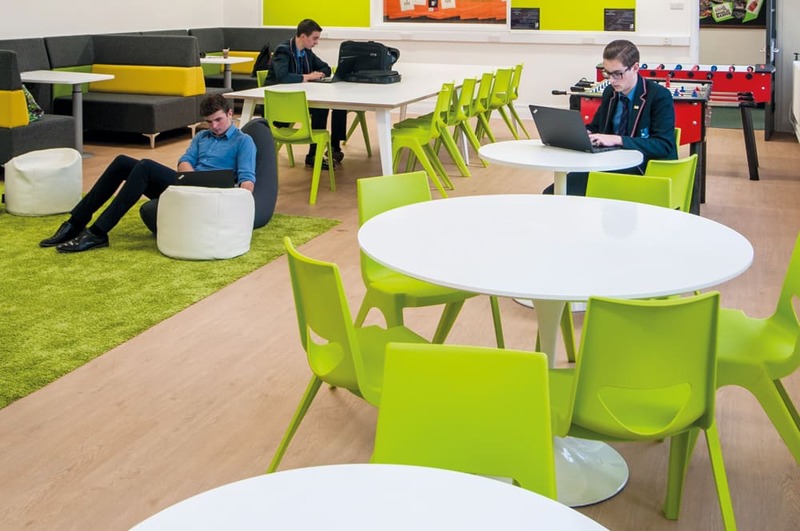 With space at a premium in school, colleges and event halls, the EN ONE is the even more efficient in storage than plastic folding chairs - with the more importantly extra comfort. The EN ONE chair was designed to not only be strong but have good design and style. 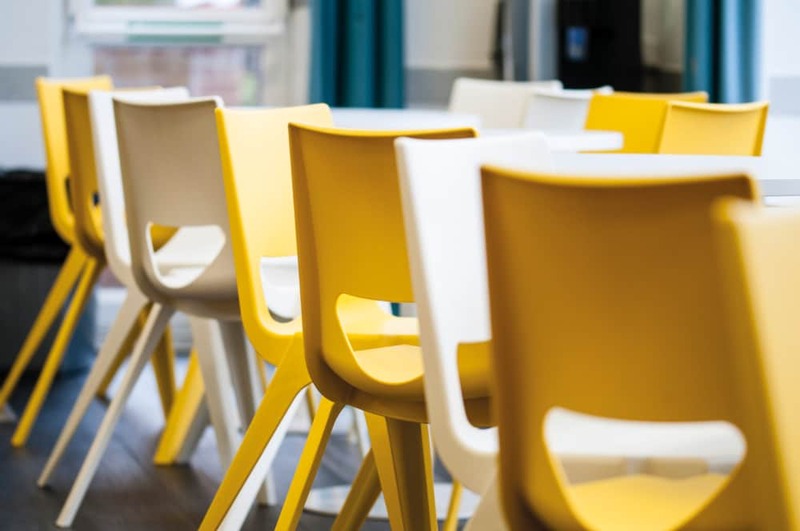 Don't be fooled by the leaner legs than other plastic school chairs on the market - this chair has certification for severe contract use & and not to mention can support a large car. Yes, we really did say the chair can support a car! 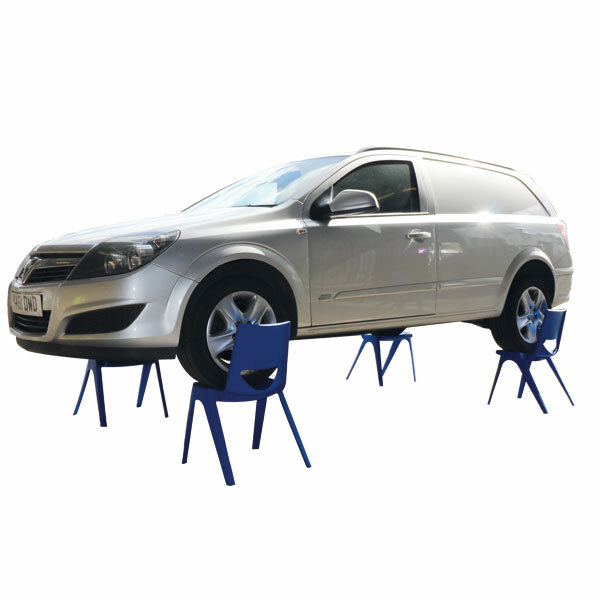 Our manufacturer was so confident in their product put a big car on 4 EN ONE chairs, click on the link so see how strong these chairs really are. High impact reinforced polymer ensures greater strength and durability, yet lighter weight. With the effects the environment becoming so important it was imperative to design a chair that took this seriously. The EN ONE uses less materials than any other chairs in its class, and its made from fully recyclable materials. This device cleverly fits onto the underside of the chair. Then easily links with the chair next to it, giving the user a secure seating arrangement. An important feature, to aid compliance with health and safety regulations. The EN One Plastic School Chair Family Grows and will be adding some new additions. In June School Furniture Offers will be able to offer the full range of sizes 1-6 in all colours. 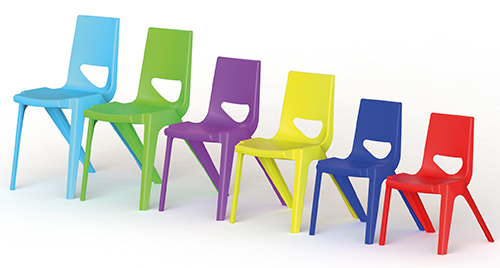 The one piece plastic chair has proven highly popular to schools, colleges and universities over the past couple of years. Now the full range is available we are sure this school chair will continue to grow in the educational market. We would have to say this is best plastic school chair.